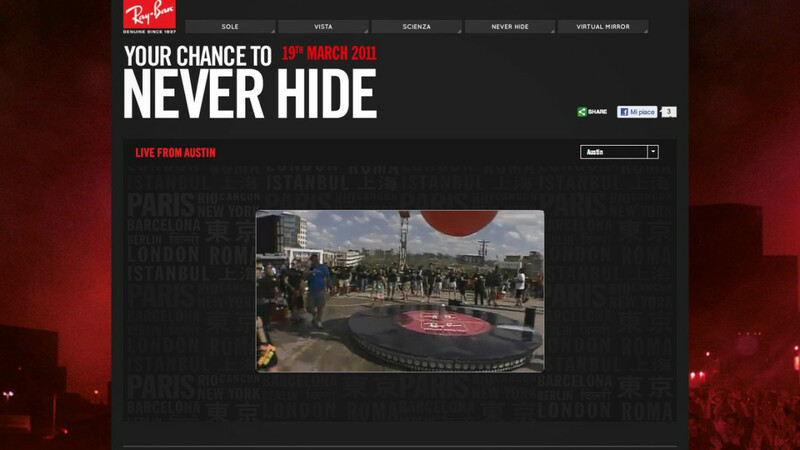 On March 19th 2011 Ray-Ban set to kickstart the “Never Hide” campaign with a series of 12 simultaneous events: Austin, Barcelona, Berlin, Cancun, Delhi, Istanbul, London, New York, Paris, Rio de Janeiro, Rome and Shanghai. 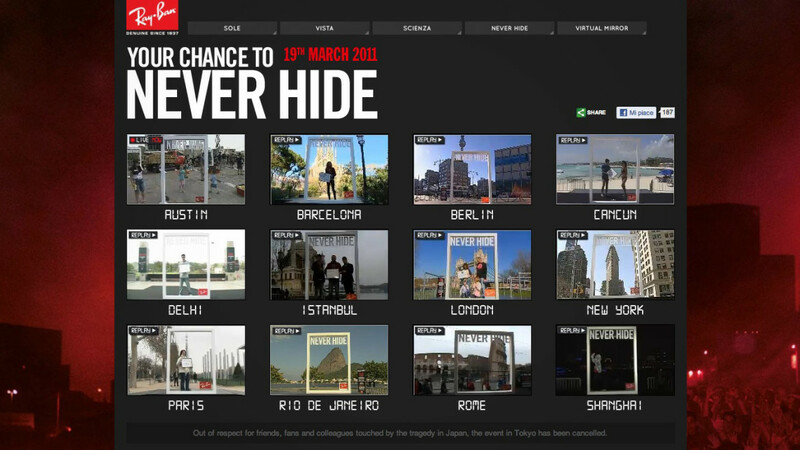 A life-sized “Never Hide” frame was installed in prominent locations through the 12 cities, guests were invited to take front stage to be portrayed, while all events were broadcasted live. 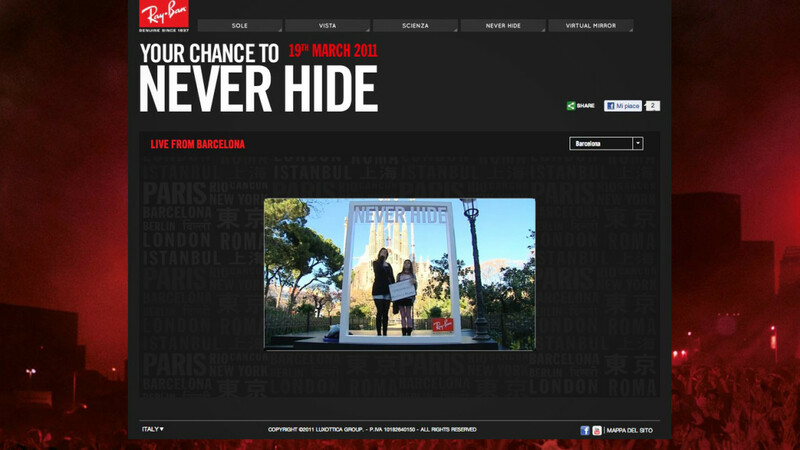 Sartoria was challenged to produce and coordinate all events, from the ground up. Just 6 weeks to make it happen, and thanks to a global network of friends and collaborators Sartoria did it: some call it a miracle, we call it our job.